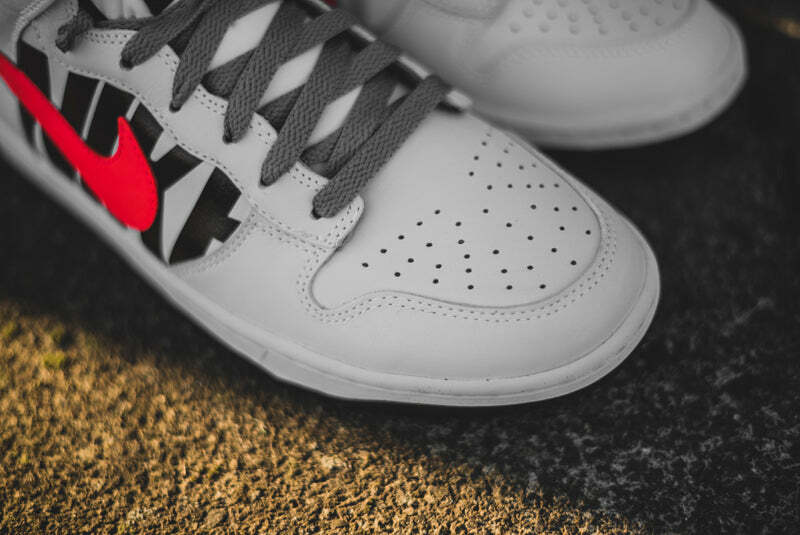 This shoe was revealed last year when Undefeated did their take on the Cortez and was originally set to come out then but it got mysteriously delayed. 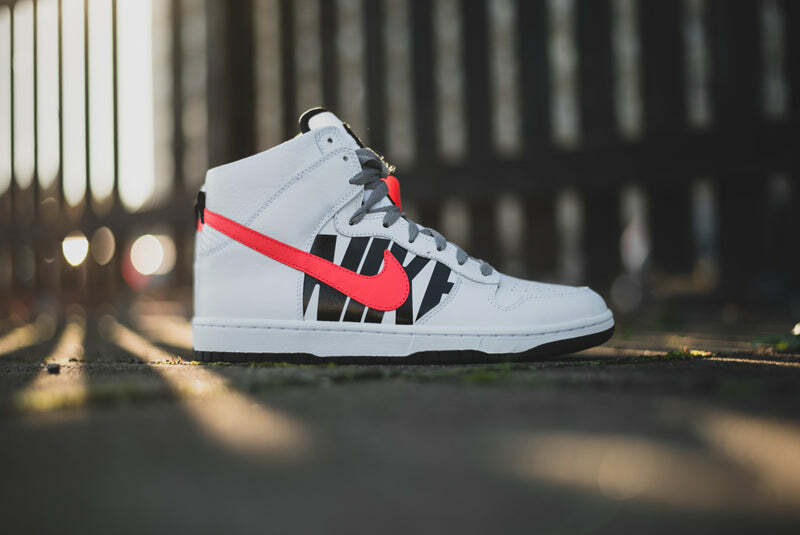 Now is the time for the second offering from Undefeated x NikeLab and it’s another staple LA shoe, the Dunk Lux. 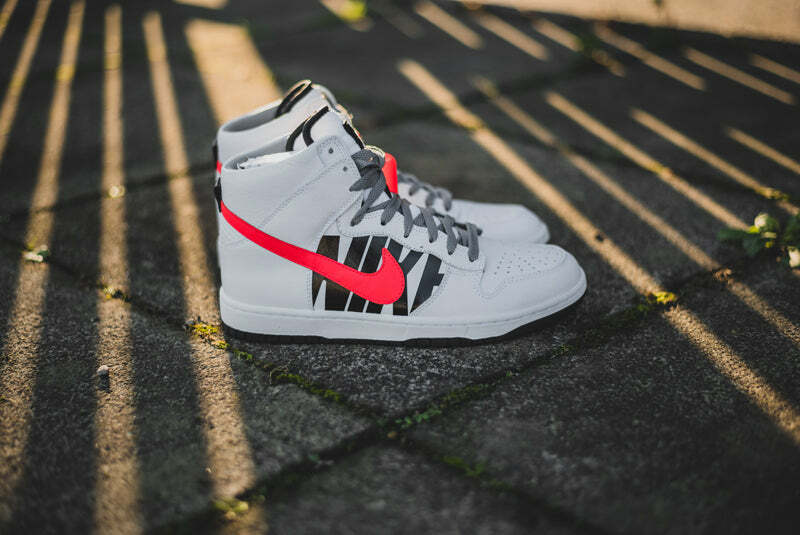 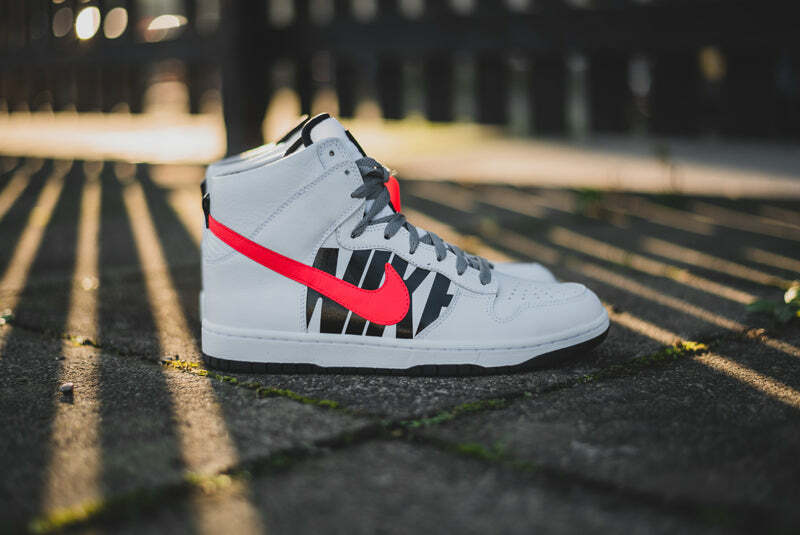 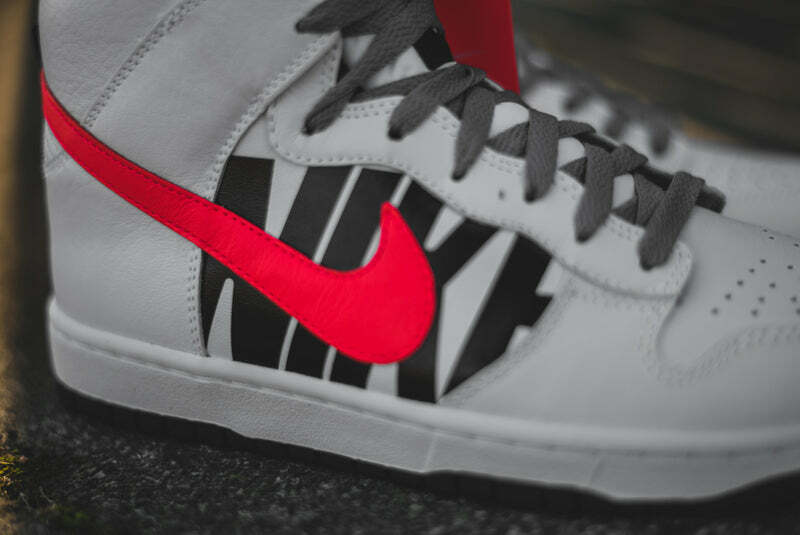 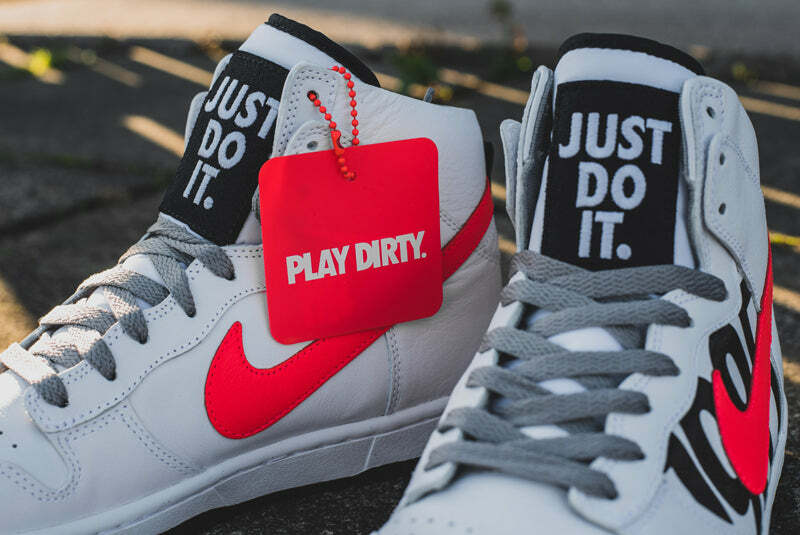 Clearly taking their inspiration from the infamous Nike infrared colour way, first introduced in 1990, the “Just Do It” large script and the “1985” hark back to an even earlier period in the brands history when the Dunk was first released. 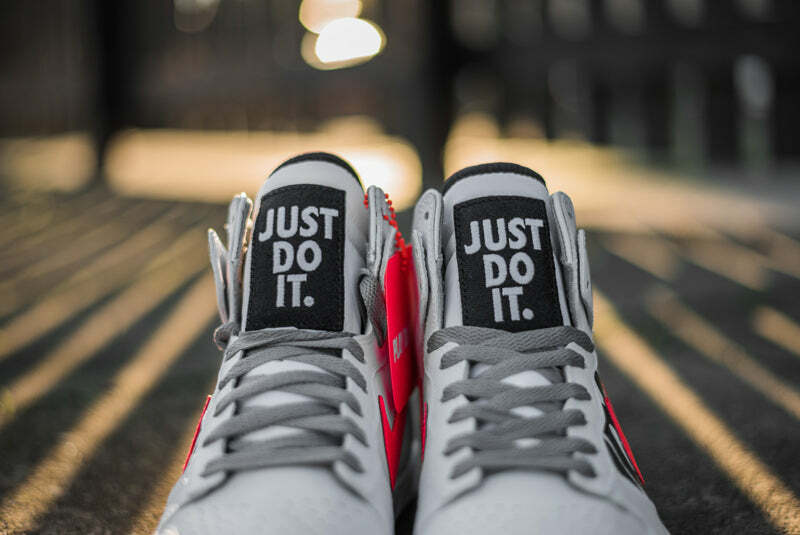 With a super clean white leather upper, white midsole and black sole the infrared Swoosh sets these off perfectly and little detailing like the grey laces, black leather rear tag debossed with the Undefeated logo and co-branded swing tag finish them off perfectly.